Despite having a mostly successful E3 2018 keynote, with big announcements such as The Last of Us Part II, Death Stranding, Ghost of Tsushima, and Spider-Man, Sony has found itself amidst a lot of controversy. Following Sony’s E3 2018 keynote was Nintendo’s keynote, which among other games, finally introduced Fortnite on the Nintendo Switch console. However, players have been left with something to blame about, all credit to Sony. 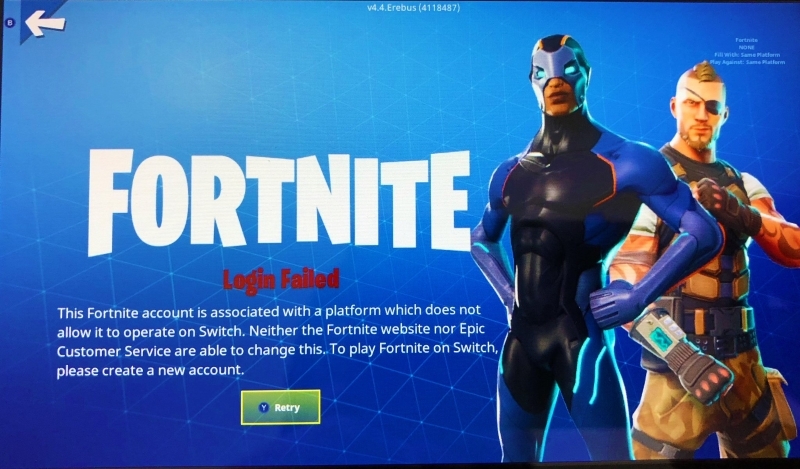 Sony blocked cross-login and cross-play for Fortnite on the Nintendo Switch, which meant players could not carry over the progress, perks and other items from their PS4 game to the Switch. Naturally, players have been furious, and this shows, with Sony’s market shares dropping by 2.8%. According to Google Finance, Sony’s stock ended June 11 at $50.50 and has since swooped down to a low of $49.18. According to The NPD Group's Games Acquisition Monitor, at the end of Q1 over 40% of Switch owners in the US also owned a PS4. The Fortnite issue should be rectified beyond a statement suggesting those consumers make new friends, imo. The Nintendo Switch has been one of the best-selling consoles, having outshone its rival consoles in first-year sales. Unlike the choices between PS4 and Xbox One, many users choose to buy a dedicated gaming console from Sony or Microsoft and buying the Nintendo Switch for its 2-in-1 gaming abilities. In fact, according to The NPD Group’s Games Acquisition Monitor, over 40% of the Nintendo Switch owners also owned a PS4 system. As such, the Fornite controversy is affecting a majority of users, who not only are losing out cross-play, but also cross-progress. Both Nintendo and Sony have issued their official public statements regarding the situation, and none seem to be helpful. While Nintendo claims that their responsibility is to work with the developer only, and “what competitors do is their decision to make”, Sony completely avoided the issue by promoting its products instead of answering the question. Sony’s attempts to avoid conversing about the Fortnite controversy hasn’t gone well with the fans, and the aforementioned drop in their stock prices signifies that. As a gamer myself, I feel Sony should understand that the gaming community is one of the most influential communities out there, one that won’t tolerate such moves. The community had previously forced EA to fix their greediness following the microtransaction controversy with Star Wars Battlefront II, and it seems like Sony seems to be the next target if they don’t come up with a proper solution to Fortnite.